Was Jesus’ Tomb Found Empty Because Joseph of Arimathea Moved the Body? Christian apologists confidently maintain that because there are good reasons to believe God exists (more>>), it is rational to believe God could have supernaturally raised Jesus from the dead (more>>). In support of the proposition God did, in fact, supernaturally raise Jesus from the dead, Christian apologists point to the historically documented evidence that within days of Jesus’ crucifixion and burial, the tomb Jesus was buried in was found empty. Some skeptics attempt to explain away the evidence of the empty tomb by proposing that after Joseph of Arimathea buried Jesus in his tomb, he subsequently went back to the tomb and removed Jesus’ body. As set forth in this article, Christian apologists maintain the theory that Joseph of Arimathea moved Jesus’ body is inadequate and certainly not rationally compelling. The historical record establishes Jesus’ tomb was found empty just days after his crucifixion and burial. The empty tomb was attested to by several witnesses, it was publicly addressed in speeches given in Jerusalem where the events took place, it was inferentially admitted by both Roman and Jewish leaders and was believed by at least two skeptics (James the Just and Paul fka Saul). 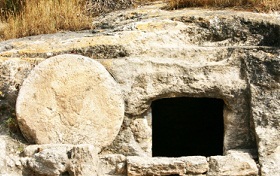 For a complete discussion of the historical evidence that Jesus’ tomb was found empty, go here. According to Matthew 27:57-61 Jesus’ body was placed in a tomb owned by Joseph of Arimathea. Some skeptics propose Joseph had purchased the tomb for he and his family and only offered the tomb as a temporary resting place for Jesus’ body because the Sabbath was quickly approaching (Mark 15:42-46, Luke 23:50-54, John 19:38-42) and Jewish law required the bodies of men who had been executed to be buried by sundown (Deut. 21:22-23). It is proposed that after the Sabbath was over, Joseph would have moved Jesus’ body to a permanent resting place so the tomb could be used for he and his family as originally intended. Some skeptics point out the Jewish leaders were so concerned Jesus’ disciples would steal Jesus’ body and claim he had risen from the dead they asked Pilate to appoint a guard to secure the tomb (Matthew 27:62-65). In their view, since Joseph was a member of the Sanhedrin, Joseph may have moved Jesus’ body out of the tomb to ensure Jesus’ disciples didn’t steal the body. The proposition that Joseph of Arimathea moved Jesus’ body seeks to explain both the reason the tomb was empty as well as the surprise of Jesus’ followers when they found the tomb empty. Whether Joseph of Arimathea was a friend or enemy of Jesus, he had no motive for moving Jesus’ body out of the tomb without someone knowing. Based on certain references in the gospels, many scholars maintain Joseph of Arimathea was a friend of Jesus. Matthew reports Joseph was a disciple of Jesus (Matt. 27:57). John reports Joseph “was a disciple, but secretly, for fear of the Jews” (John 19:38). [See, Frank Morison, Who Moved the Stone?, pgs. 64-65 (1958)] According to Luke, Joseph (who was a member of the Sanhedrin) did not consent to the council’s condemnation of Jesus (Luke 23:50-51). By subsequently offering his grave to Jesus (whom the Jewish leaders clearly despised), many scholars maintain Joseph’s social standing with the Jewish leadership would have been greatly degraded which is notably consistent with indications in apocryphal literature that Jewish leaders were angry with Joseph and summoned him before the council. [See, Frank Morison, Who Moved the Stone?, pg. 92 (1958)] If Joseph was a follower of Jesus and made these kinds of sacrifices for Jesus, it seems likely Joseph would have considered it an honor to have Jesus buried in his tomb and wouldn’t have had a motive to move Jesus’ body. Nevertheless, even assuming Joseph had a reason to move the body, if he was a friend and/or follower of Jesus, he would have quickly told followers of Jesus where the burial site was so the site could be venerated. [See, Frank Morison, Who Moved the Stone?, pgs 93-94 (1958)]. On the other hand, if Joseph was not a Christ-follower and remained loyal to the Jewish leadership, he still had no motive for moving Jesus’ body. Because Jesus had said, “After three days I am to rise again” (Matt 12:39-49; John 2:19), the Jewish leaders were concerned Jesus’ disciples would try to steal his body and go about claiming Jesus had risen from the dead which is the reason the Jewish leaders went to Pilate and asked him to have the tomb guarded (Matt. 27:62-66). If Joseph’s loyalties remained with the Jewish leadership, it seems certain he would have ensured Jesus’ body remained secured in the sealed tomb far longer than just 2-3 days after the crucifixion. Furthermore, if Joseph moved the body, when the disciples began proclaiming Jesus had risen from the dead and made that claim a foundational doctrine of the Christian faith, Joseph and the other Jewish leaders would have quickly publicized where the body had been moved to in order to discredit the claims of Jesus’ disciples that Jesus had been resurrected from the dead. [See, Norman Geisler, Baker Encyclopedia of Christian Apologetics, pg. 645-646 (1999)]. As a member of “the Council”, i.e., the Sanhedrin (see, Luke 23:50-56), Joseph of Arimathea was undoubtedly a devout Jew. According to three of the gospels (Mark 15:42-46, Luke 23:50-54, John 19:38-42), Joseph offered his tomb for Jesus’ burial because it was close by and the Sabbath (which started at sundown) was quickly approaching. The Jewish law further required bodies of executed men be buried by sundown on the same day they died (Deut. 21:22-23). If Joseph temporarily offered his tomb for Jesus’ body out of reverent respect for the law, it seems very unlikely Joseph would have violated the law by removing the body on the Sabbath (sundown on Friday to sundown on Saturday). The only time Joseph could have moved Jesus’ body without violating Sabbath laws was on Saturday night or Sunday morning before dawn when the women arrived at the tomb. However, it is very unlikely Joseph would have insisted on moving the body on Saturday night when it was dark. If Joseph did move the body Saturday night, he would have needed the help of others to get past the guards, remove the Roman seal, move the 1 to 2 ton stone that blocked the opening to the tomb, take off the grave clothes that were left behind in the grave (which John 19:39 says were covered with 75-100 lbs. of burial spices) and carry the body to its new burial site. And, all of this would have had to be done with light provided by torches. Given all that was entailed in moving Jesus’ body, it would have made much more sense for Joseph to wait until after sunrise on Sunday morning (or even some later time) to move the body, if that is what he intended to do. Even though it was common practice in that day to venerate the tombs of respected political and religious leaders, the historical record contains no hint that anytomb was ever venerated for Jesus. Whether Joseph of Arimathea was a friend or enemy of Jesus, if he moved the body, he would have revealed the location of Jesus’ new burial site and the new burial site would have been venerated by the thousands of people who became Christians (see, Acts 2:41-47). If Joseph was a friend of Jesus, he would have wanted Jesus’ followers to know where Jesus’ body had been moved so they could visit the new burial site and venerate it. On the other hand, if Joseph remained loyal to the Jewish leadership, he and the other Jewish leaders would have quickly publicized the location of Jesus’ new burial site to discredit the claims of Jesus’ disciples that Jesus had been raised from the dead (see, e.g., Acts 2:22-24, 32). Matthew reported the Jewish leaders bribed the guards into saying the body had been stolen (Matt. 28:12-15), however, if the guard was a temple guard, it wouldn’t have been necessary for the Jewish leaders to bribe them because they would have done whatever the Jewish leaders said to do. Whether a Roman Guard or a Temple Guard was sent to secure Jesus’ tomb, those who propose Joseph of Arimathea moved Jesus’ body must provide a reasonable historical explanation of how Joseph could have broken the Roman seal, moved the 1 to 2 ton stone that blocked the opening to the tomb, removed all the graveclothes from Jesus’ body and then removed the body from the tomb without alerting the guards. If for some reason the guards let Joseph of Arimathea into the tomb to move Jesus’ body, the guards would have reported that fact to the Roman and Jewish leaders who would have then pointed people to Jesus’ new tomb to discredit the claims of Jesus’ disciples that he had risen from the dead. If Joseph of Arimathea moved the body, it seems rather unlikely he would have removed the linen grave clothes Jesus’ body had been wrapped in (which John 19:39 says were covered with about 75 lbs of burial spices) or taken the face-cloth off and folded it before leaving it behind (see, John 20:3-7). It seems much more likely Joseph would have moved Jesus’ body to its new burial site without removing the burial linens or face-cloth. James (later known as James the Just) was Jesus’ half-brother and a skeptic during the time of Jesus’ ministry (Mark 3:21, 31-35; John 7:1-10). Paul fka Saul was a Pharisee who hunted down Christians to arrest and persecute them. The explanation that Joseph of Arimathea moved Jesus’ body doesn’t explain why so many people saw Jesus alive after he died on the cross and was buried in the tomb. Even James the Just and Paul fka Saul (both of whom were skeptics at the time) saw the resurrected Jesus. [See, Gary Habermas, The Apologetics Study Bible, “Can Naturalistic Theories Account for the Resurrection?”, pgs. 1621-1622 (2007)] If Joseph moved Jesus’ body, Jesus was still dead and his body was somewhere. Accordingly, those who attempt to explain away the empty tomb by proposing Joseph moved Jesus’ body must explain the post-crucifixion appearances of Jesus. [See, Norman Geisler, Baker Encyclopedia of Christian Apologetics, pg. 645 (1999)]. Although skeptics have attempted to provide a reasonable alternative explanation for the eyewitness accounts of Jesus being seen alive, Christian apologists steadfastly maintain none of the alternative explanations are adequate much less rationally compelling (more>>). The principle of Occam’s razor, which states simple explanations are preferable to more complex explanations, only states one should not multiply causes beyond necessity. Therefore, Occam’s razor can only be relied on to exclude the need for a supernatural explanation if a sufficient natural explanation can be offered (more>>). In the case of Jesus’ resurrection, the rebuttal points set forth above weigh against the explanation Jesus’ tomb was found empty because Joseph of Arimatheamoved Jesus’ body out of the tomb. The other alternative explanations skeptics have offered to explain away the empty tomb are similarly inadequate (more>>).Consequently, Christian apologists maintain it is reasonable to look beyond the alternative explanations offered by skeptics for an explanation that adequately explains all of the historical evidence, including the explanation that God supernaturally raised Jesus from the dead. Since the case against the resurrection was no stronger than that presented by Dr. Flew, I would think it was time I began to take the resurrection seriously. [Ankerberg & Weldon, Ready With an Answer, pgs. 132-133 (1997) citing to Terry L. Miethe (ed. ), Did Jesus Rise from the Dead? The Resurrection Debate, pg. xiv (New York Harper & Row, 1987)] Because there are good reasons to believe God exists and that he supernaturally raised Jesus from the dead, Christian apologists insist it is not only unfair for skeptics to claim Christians are intellectual simpletons for believing in Jesus’ resurrection but it is intellectually dishonest to write off the resurrection as mere foolishness. For information on how to know God personally, go here. Slideshow Photo: Photograph by Wolfgang Sauber of an 1879 stained glass window by Alexander Gibbs & Co. which shows Joseph of Arimathea with Christ’s body. The stained glass window is located in St. Collen’s parish church in Northern Wales. 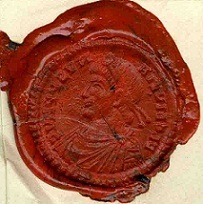 The image was downloaded from www.wikimedia.org which states the image is licensed under the Creative Commons Attribution-Share Alike 3.0 Unported, 2.5 Generic, 2.0 Generic and 1.0 Generic license. Photograph of a Tomb: Photographer unknown.